Pena’s Flow Vinyl kicks off 2017 in a big way with a new single from Oovation and Amber Long. The long standing imprint has been a benchmark for quality for over a decade now. A controlled release schedule combined with carefully curated projects has made it a very desirable destination for the progressive house nu-school. The newest addition to the roster is Oovation who presents his latest single ‘Falter’ alongside remixes from Switchbox and Juan Deminicis. Hailing from Germany, Pierre Bonaventura aka Oovation has quickly become a sought after name in the progressive techno scene. His releases on Inlab Records, Univak and Not Another have all been sensational and he continues to impress with ‘Falter’. Calling on the vocal talents of Amber Long the duo have crafted a unique and very engaging creation. With a bevy of interesting quirks, stellar effects and mysterious vocals there is a lot to like here. The vocals are quite unconventional and that’s a huge part of the brilliance, Amber’s voice is quite esoteric to begin with but the processing is just sublime and when you combine that with a never-ending storyboard of shifting effects it makes for an incredible eight minute journey. 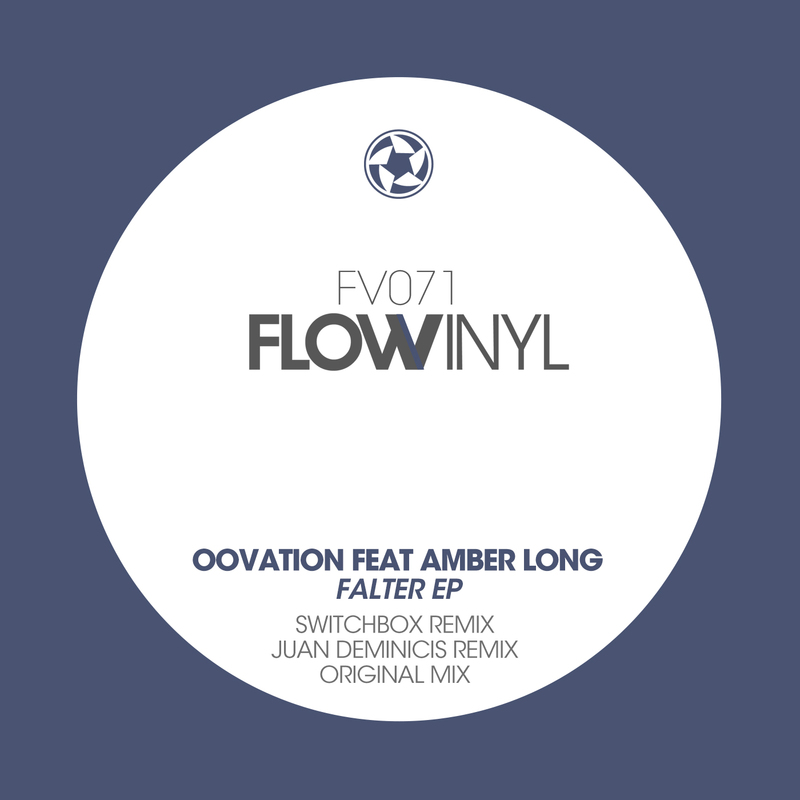 Flow always makes astute remixer choices and both Switchbox and Juan have done a great job here. First up Ellum Audio artists Switchbox put a more techno inspired twist on the piece while still retaining the core themes quite nicely. Stellar design, a billowing low end and wonderfully warped hooks make for a heady yet dance floor minded journey. Amber’s vocal, although used sparingly, proves highly emotive in its ethereal glory and complements the electric narrative perfectly. Killer stuff from Switchbox and my favourite mix on the release. The release concludes with Flow Vinyl label artist Juan Deminicis returning for his fifth appearance. Although the Argentinean artist had a quiet 2016 it was highlighted by two very key releases, one on Hernan Cattaneo’s Sudbeat Music and the other on Guy Mantzur’s Plattenbank Records. The long time Guy J favourite provides a deeper and decidedly spacey interpretation of ‘Falter’ which complements the previous two versions wonderfully. Anchored by warm bass swells the piece moves through an emotive storyboard with delicate hypnotics and a lighter, more indistinct take on the lead elements, all blanketed by Amber’s gorgeous vocals. Brilliant remix from Juan and one you’re likely to be hearing a lot in the coming months. Top notch release from Flow Vinyl to begin the new year. Highly recommended.